I have on many occasions advocated and urged my peers and readers to put sun protection as a priority in their beauty routine. So it was a breeze saying yes when Daylong, a sun protection specialist approached me to help spread the word on how their sun safety campaign – to make sun protection as essential as physical exercise in everyone’s minds. Their awareness campaign on sun safety enlightened me too. Personally, if I were to give a beauty tip to my 15-year-old self or my young son, it would be to make sure sun protection is a priority. Daniel is very active and we often spend a lot of time in the outdoors during the weekends. We cycle, take long walks and we swim a lot. 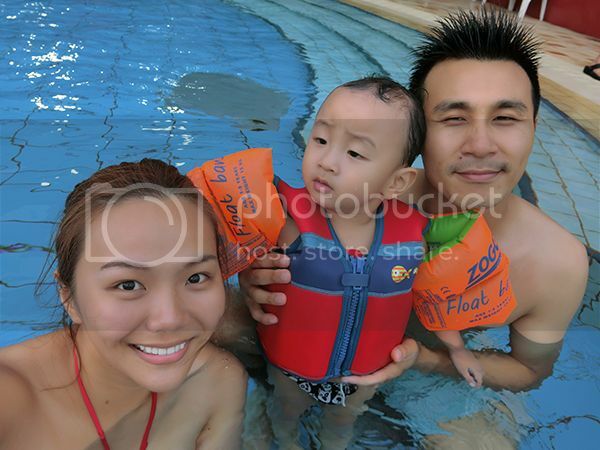 Here’s a picture of us last weekend when we went swimming. Will cause premature aging, resulting in uneven skin tone, dark spots and fine lines. 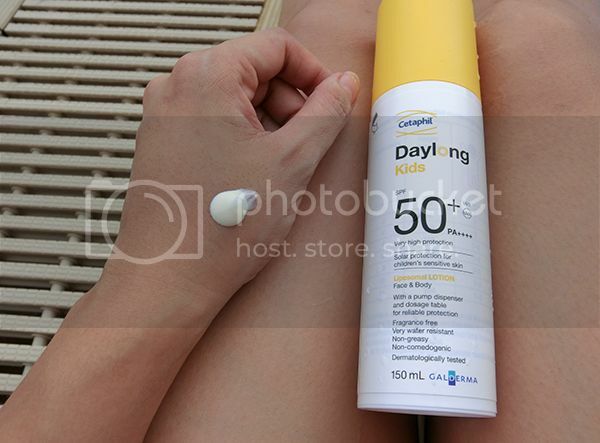 I like Daylong because their suncare products covers a broad spectrum of UV rays and infrared radiation (IR). Did you know, IR has longer wavelengths and penetrates deeper into the skin to accelerate skin aging? So you need to be sure when you buy suncare products that it is protecting you sufficiently. You also need to know that UVA & UVB affects your skin differently. UVA (think ‘A’ for aging), accelerates skin aging and results in the formation of cell-damaging free radicals. UVB (Think ‘B’ for burning), causes sunburn and DNA damage that can lead to skin cancer. So that’s why you need to protect your skin from UVA, UVB and IR! First I applied the Daylong Kids SPF50+ Face & Body Lotion (yellow cap) to my super active son 20 minutes before heading out. I really want him to have a good, healthy start to life so I am definitely starting him on sun protection as early as possible in life. After all, the negative effects of prolonged exposure to harmful UV rays can take a long time to surface. That’s the thick but super blendable creamy/liquid texture of the Daylong Kids SPF50+ Face & Body Lotion. What’s perfect is that it’s not sticky at all, because if it were, I think Daniel will surely fuss! It comes with a great packaging: the dosage dispenser provides the optimal amount of product for reliable protection for your child’s delicate skin based on the number of pumps indicated on the dosage table in the peel-off label. It’s suitable even for kids with atopic dermatitis. Daniel is 1.5 yrs, and about 80+cm, so I followed the 1 pump rule for each body part. I love its formula of glycerin, dexpanthenol, aloe vera and Vitamin E because it all works together to nourish the delicate skin that young children have. And all while offering very high protection with SPF 50+/PA+++ against UVB, UVA & IR. What actually happened in this photo is me holding the camera and asking Daniel to stop moving while my husband applies sun block on him! Haha! And then off they went to play first while I hung out in the shade applying sunblock on myself! 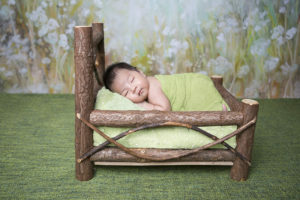 It’s never too early to start on suncare and never too late to it too! Daylong has quite a wide range of suncare products for adults but this is my favourite – Daylong SPF 30 Face & Body Spray Lotion. I am not the biggest fan of spreading sunblock especially on myself because I find that it takes such a long time to do so but this spray makes it completely easy. I just squirt at intervals of my body and it just blends in super quickly thanks to its liposomal formulation. I could totally even do this quickly on myself before putting on suncare for Daniel! This also protects me against UVB, UVA & IR rays. Two thumbs up! For me, I definitely want to help my husband and I slow down the aging process of skin and lower my family’s chances of getting skin cancer. 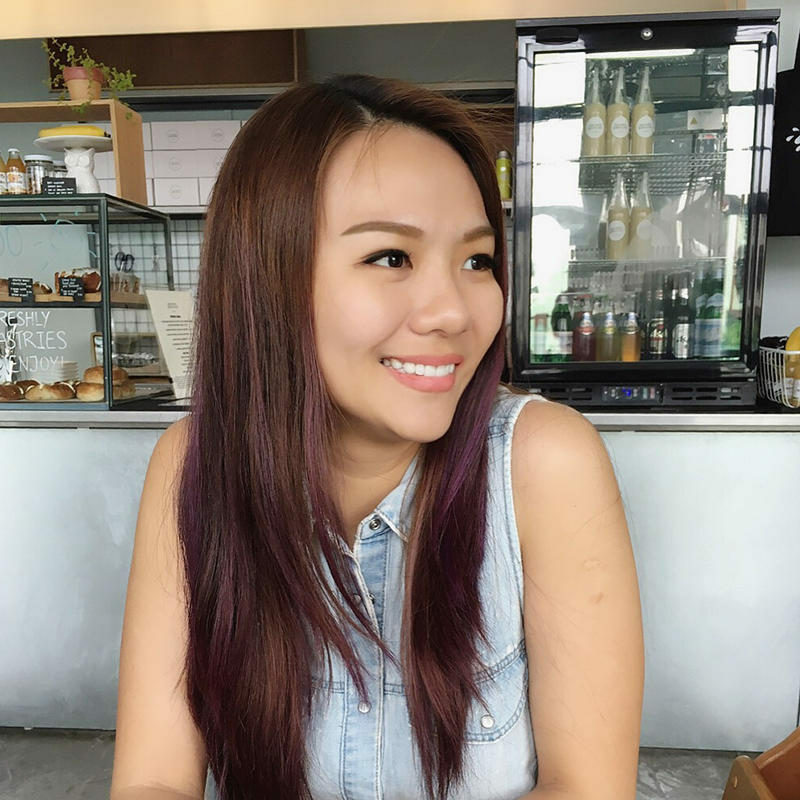 I mean, according to National Skin Centre, the number of skin cancer has increased by 60% in the past decade, making it the 6th most common cancer in Singapore. I shall leave you with this well-written article on 7 sun-protection mistakes that I make too! GI VEAWAY: Daylong is sponsoring 3 of my readers with a $90 hamper that will help you kickstart sun protection for your family too. Details here! 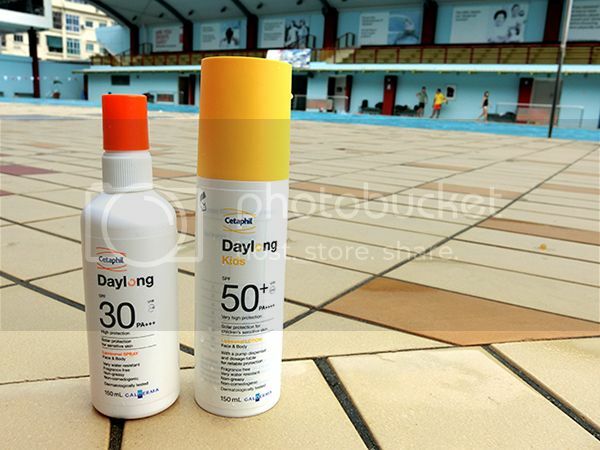 Definitely visit www.daylong.com.sg or www.facebook.com/DaylongSG for more information about the Daylong Sun Safety Campaign. There’s a lot of useful information there!